There's no denying that the 2018 Toyota C-HR is an attractive vehicle. Utilizing precision-cut lines that are designed exude a sense of athleticism, this all-new Toyota will be sure to having you turning heads every time that you hit the road. From its c-pillar rear door handles to its available r-code color designs, including Ruby Flare Pearl, Radiant Green Mica, and Blue Eclipse Metallic, the Toyota C-HR is the perfect pick for those looking to stand out from the crowd. Of course, head turning good looks aren't all that this new Toyota has to offer. Driven by a 2.0-liter 4-cylinder engine, the 2018 Toyota C-HR is able to achieve a full 144-horsepower and 139 pound-feet of torque without making any compromises when it comes to fuel economy ratings. Not to mention, riding on a sport tuned suspension, you can count on this year's C-HR to provide you with the kind of driving experience that's truly second to none. Interested in learning more about the all-new Toyota C-HR? Ready to start talking available loan and lease options with the team in our Finance Center? 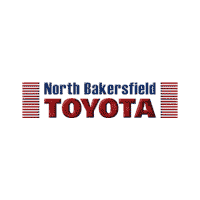 Then we invite you to visit our new Toyota dealership in Bakersfield, CA to speak with a member of our dedicated sales team. Just around the corner from Porterville, Visalia and Hanford, we look forward to getting you behind the wheel of the 2018 Toyota C-HR.